UnlimApps have just updated their entire lineup of super popular ++ hacked apps. 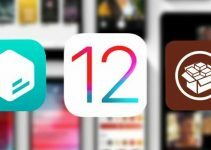 You can download these apps and the required files for iOS 11 firmware below. Social media apps like Instagram++ and Snapchat++ are the reason why a lot of users jailbreak their device. Thankfully, UnlimApps updated all these apps just in time to make them compatible with iOS 11. Apart from that, you can use these apps without revokes and with fully functional push notifications. The reason behind their incompatibility was the uasharedtools package. This package also received an update for iOS 11 and ensures all apps work properly on all devices including iPhone X. 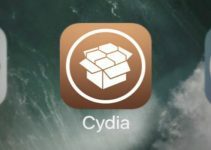 Step 1 Jailbreak your Apple device using Electra jailbreak toolkit. You can download this toolkit from this link. Jailbreaking your device is important because these apps require full root access to add hacks to social media apps. 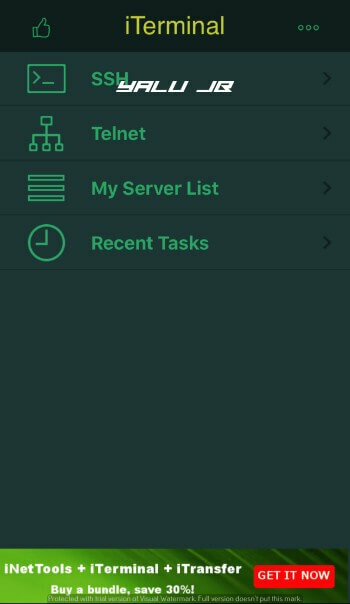 Step 2 Establish an SSH connection to your device with the iTerminal app. You can download it from the official App Store if you don’t have it on your device. Alternatively, you can use other SSH clients like WinSCP or Putty but they require a computer. 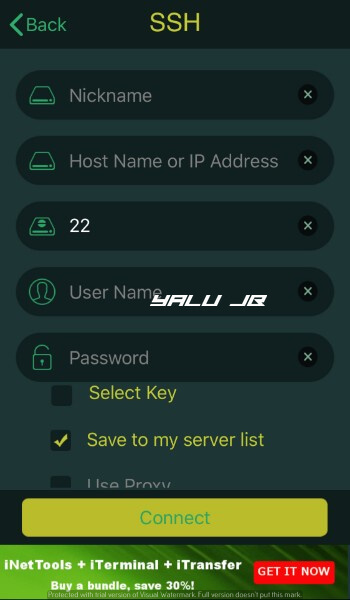 Step 3 Open the iTerminal app from your home screen and tap on SSH. Step 5 Tap Connect and you will now enter the terminal if you have done everything correctly. Enter the following command in the terminal to install uasharedtools. once you execute it, it will automatically install this package on your device. Warning – Remember, this is very important. If you don’t install this dependency, none of the apps will work. Also, there’s no line break after “-O” and “.sh |” in these commands. They may appear a bit wonky due to the formatting. Once you install the aforementioned package, your device is now ready for installing the hacked apps. Simply enter any of the following commands depending on which app you want to install. These scripts will automatically install the desired app into its correct directory. There’s no need for you to download and install the Debian packages manually. Step 1 Download the uninstall bash script from this link. Step 2 Move this file to the bootstrap folder on your device’s filesystem. Step 3 Open iTerminal again and establish an SSH session. Step 4 Enter this command in terminal. Step 5 Wait for it to execute the scipt. All your apps, along with uasharedtools, will now be removed within a few seconds. There’s a bug in WhatsApp++ that causes a call to end if the user goes back to messages or exits to the Springboard. Except for WhatsApp++, there are no known bugs in other apps thus far. YouTube++ and Unlimtones are not updated yet. Hopefully, they too will receive an update in the near future by the developers. As always, don’t hesitate to post a comment below if you run into a problem. For more iOS 11 jailbreak downloads, follow us on Facebook and Twitter. Try cleaning it up with the gold version here. this installaion method is no longer valid or supported. came back with a msg to wait for Cydia! I will update the article once an update drops. Users who are on beta versions can still use it. You install the tweak, not the app. Check your Settings section. It still doesn’t appear in my settings. In the picture you put “Killall -9 SpringBoard”, do I also have to put this in? Also, When I press enter in the terminal it says it downloaded but it says “scheme missing” is that supposed to happen? Refrain from using these apps for the time being. The developer of Electra has said that they can lead to issues. I installed insta++ and it prompts me to update the tweak how do i update it. And how do i update any other ++ tweak ? Run the command again or you can also place the new files manually. You can manually remove the files from SBInject. It worked, but I Could not post on snapchat because I got a “could not reload” error on snapchat. No, it’s the same. Yes, it is spaced. Done all the steps but nothing installed on the device.. what’s next? Are the new options appearing in Settings? In mine they are not appearing. I did everything that you wrote. I followed the steps and nothing installed on the iPad. What’s next? I HAVE THIS PROBLEM PLEASE HELP, HOW TO FIX? 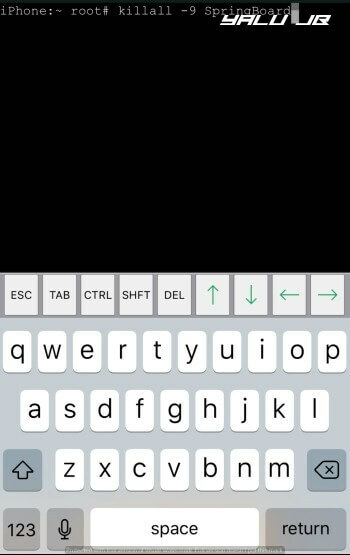 I cannot uninstall the ++ tweaks and now my Snapchat doesn’t work, PLEASE HELP!!! Are you able to run the uninstall command? The uninstall command remains the same. I tried to uninstall ++ Instagram and Snapchat but when I entered the command it said “remove.sh No such file or directory. Please help and thank you for your time. Don’t know how to write it? i copied and pasted the command into winscp and it didnt work! The command is to be written without any line break. Hi. Somebody can help me? Your keyboard doesn’t have that symbol? Try copy and pasting the command. Can’t it be done copying the link from this page? Installed n not working, how to remove facebook++? How do i remove , for example , snapchat. Do i need to just delete the app or ? Are you talking about Snapchat++? The features will automatically appear inside the stock app. Thank you for this article abt how to install the apps++, however, you don’t say nothing abt if we have to do all these steps each time we update the apps or they’ll update automatically! You don’t need to do that since Saurik will update hopefully update Cydia by that time. Thank you. You know, I don’t know where I did the mistake but it keep return me :no such file or directory” any help please? Are you entering the spaces correctly?